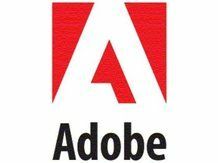 Adobe's Lightroom 2 has gone all official on us with the full release of the programme, following a successful beta test. The prototype version of the photo editing and organising software was downloaded over 100,000 times and helped to shape the way the eventual release turned out (which makes sense for a beta test really). For instance, this is the first Adobe application to support 64-bit for Mac OS X 10.5, and a few decent pug-ins have been thrown in for good measure. The workflow has also been altered to allow use of the Raw image format, to help the photographer see the pictures more accurately, portraying them as close as possible to the camera's version. Users will also be able to better organise the files over a variety of locations, for instance when a number of storage options are connected to a PC or Mac. Search capabilities have also been upgraded, as well as improved keyword tagging and dual monitor support. Coming in at $299 (£150) for new customers or just $99 (£50) for upgraders, grab it while it's hot. Or you could wait, up to you really. Won't make a lot of difference.